Israel is one of the world’s most advanced environments for technology, business, and innovation. Israel has one of the most highly-educated work forces (135 scientists and engineers per 10,000 population, more than any other developed country) and with an immigrant population having cultural ties to almost every nation on earth, Israel is uniquely positioned to be a major player in world trade and a prime location for new investment and joint ventures. 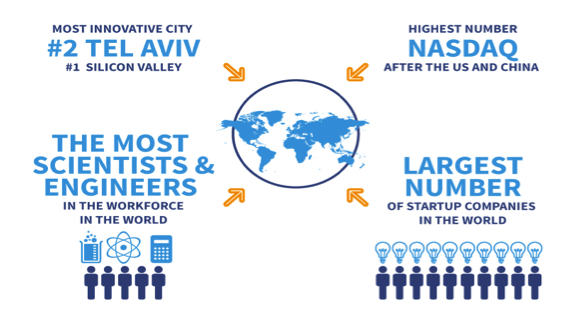 Due to Israel’s entrepreneurial climate, educated work force, world-renowned academic and medical institutions, Israel has become a main venue for venture capital and direct investment. Over 80 venture capital funds have raised over $4 billion since 1993. Its free trade agreements with the US, Canada, EU and other EFTA countries, provide unparalleled trade opportunities. The U.S. is Israel’s largest single trading partner. 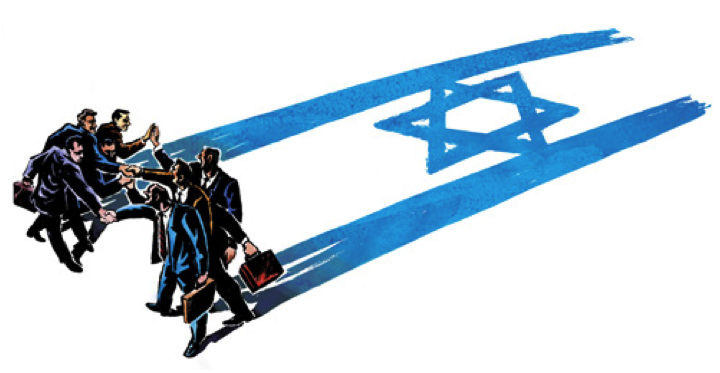 Since signing a Free Trade Agreement in 1985, US-Israel–trade has grown eight-fold. Since 1995 nearly all trade tariffs between the U.S. and Israel have been eliminated. In 2014, GDP real growth decreased to 2.5% from 3.2% in 2013. In 2012, Israel’s GDP real growth rate was 3%. Israel’s GDP in 2014 was $268.3 billion. In 2014, Per Capita GDP (PPP) increased to $33,400. In 2013, GDP Per Capita (PPP) was $33,300. Israel’s 2014 inflation rate was 0.5%, down from 1.5% in 2013. Israel’s 2014 unemployment rate was 6.6%, compared to 6.2% in 2013. Exports of U.S. goods to Israel in 2014 were $15 billion, compared to $13.7 billion in 2013 and $14.3 billion in 2012. S. imports from Israel were $23.0 billion in 2014, $22.8 billion in 2013 and $22.1 billion in 2012. Israel is one of the most highly educated countries in the world with the highest number of engineers, scientists and Ph.D’s per capita (135 per 10,000). Israel has the largest number of startup companies, in absolute terms, than any other country in the world, save the US (3,500 companies mostly in hi-tech). Israel is the only country in the world to have simultaneous free trade agreements with the US, Mexico and Canada; European Union and European Free Trade Association. More Israeli companies are on the US stock exchanges (123) after the US and Canada, with market capitalization of over $33 billion, with two companies included in the S&P 500. Israel is ranked #2 in the world for VC funds right behind the US. There is over $4 billion available for investments. The cell phone was developed in Israel by Motorola-Israel. Motorola built its largest development center worldwide in Israel. The first PC anti-virus was developed in Israel in 1979 by the same company that developed the Melissa anti-virus program. AOL’s instant message program was designed by an Israeli software company. The world’s most predominant company in internet firewall safety systems is Check Point, an Israeli company that controls 40% of the world’s market. 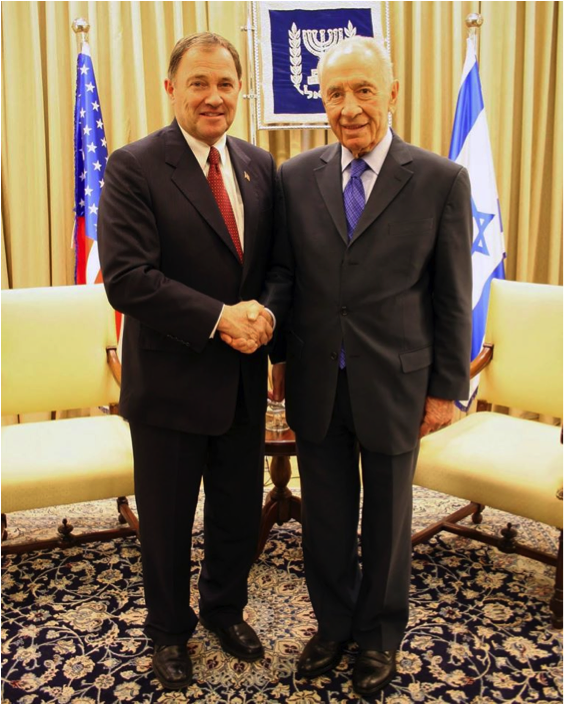 President Shimon Peres greets Governor Herbert.